God’s Tender Mercy (GTM) is a dynamic ministry moving forward, caring for orphans in war torn Pajok, South Sudan. The village is still rebuilding after the devastation created by civil war from 1983-2005. The current conflict that began in 2013 has not greatly affected the village of Pajok but progress in the country as a whole has been reversed. GTM is continuing to grow the Christian ministry in Pajok despite the civil war in the northern and central parts of the country. They are embracing the children and adults with compassion and teaching them that true hope can be found in the person of Jesus Christ. GTM also teaches and encourages participation in farming, caring for animals, educating, leading, preaching/teaching, building, etc. Over the past 5½ years David and Grace Omal Ocee, cofounders with Jeff and Kathy Huber, have shepherded resources and people to lay the ministry’s spiritual, educational and structural foundation. As with most ministries and organizational efforts, much has been accomplished yet much is still left to be done. In the Fall of 2015, Jeff and Kathy and their children traveled to Pajok and spent several months being extra hands, feet and resources for David and Grace. Since our last update, the Church Fellowship building has been completed providing the space for classes and church services. There are now school classes from preschool through 3rd grade, with the next higher grade added each year. The children’s days are spent mostly in school, but they also participate and learn how to live in community by assisting with the compound clean up, feeding/watering the animals, cooking, fetching water from the river and assisting with the vegetable farm. Exegetical Bible teaching and prayer begin the day, before school, and then after school the children enjoy soccer, jumping rope, and relaxing. After dinner there is time for homework, Bible study (village children included), fellowship, singing and dancing. Their days are to not only strengthen their faith but also to build and intensify the spirit of community. Their faith and fellowship together are critical aspects of walking with Christ. GTM’s prayer is that the people of Pajok will continue to be drawn to Jesus Christ by the teaching of God’s word and the witness of the ministry. Moving forward, GTM is now working toward the purchase of a large truck to transport farm products, reach needed supplies and facilitate the growth of its overall operation. Ultimately, the truck will provide income allowing GTM to be supported locally and self-sustained. 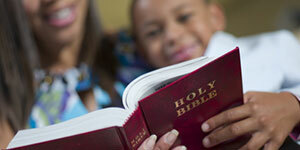 Please pray for this wonderful ministry that teaches approximately 100 children daily about the true living God. As with any relatively new venture, it faces challenges of provision, personnel and the ability to effect change. Pray especially for David and Grace’s health, energy, faith and perseverance. 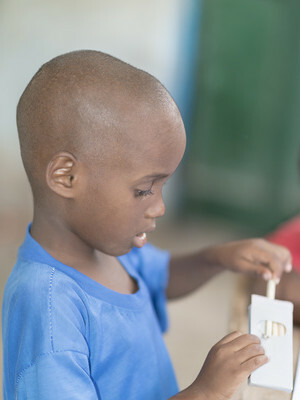 Jeff and Kathy ask for prayers that God will provide for the items they most need. 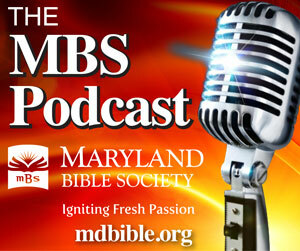 Maryland Bible Society is a partner with GTM, recently sending a financial grant for Bibles. Maryland Bible Society is pleased to share this great news of Kingdom Work. 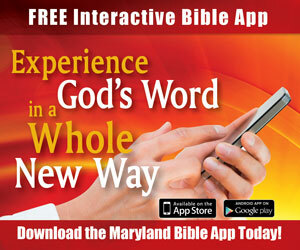 For further information, please call Cathy Johnson at 410-685-4040 or email to cjohnson@mdbible.org.